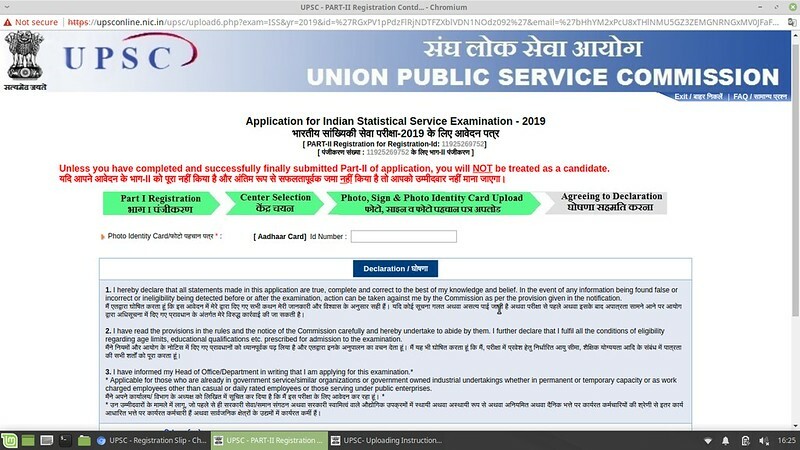 UPSC IES/ ISS Application Form 2019 – Union Public Service Commission (UPSC) has released the UPSC IES/ ISS Application Form at upsc.gov.in on March 20, 2019. The online application has been activated and will remain active until April 16, 2019. UPSC is inviting the application form for the candidates who have completed their graduation/ postgraduation and are in the age group of 21 to 30 years. 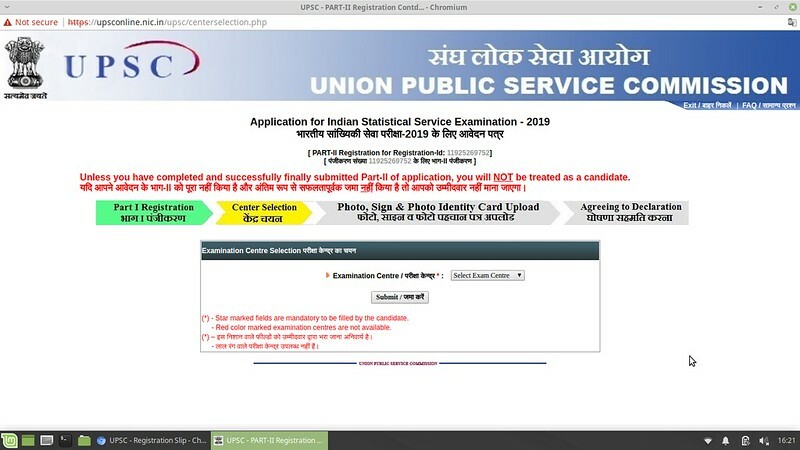 For doing the registration for UPSC IES/ ISS 2019 the candidates have to pay the application fee of Rs 200/-, the female candidates and candidates belonging to the SC/ST/PwBD are exempted to pay the fee. 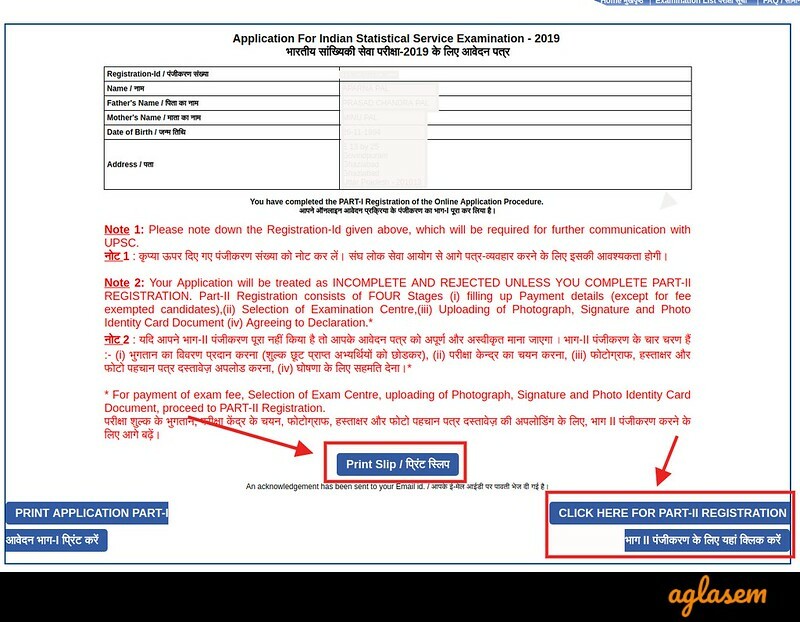 Get here all the details of UPSC IES/ ISS Application Form 2019. 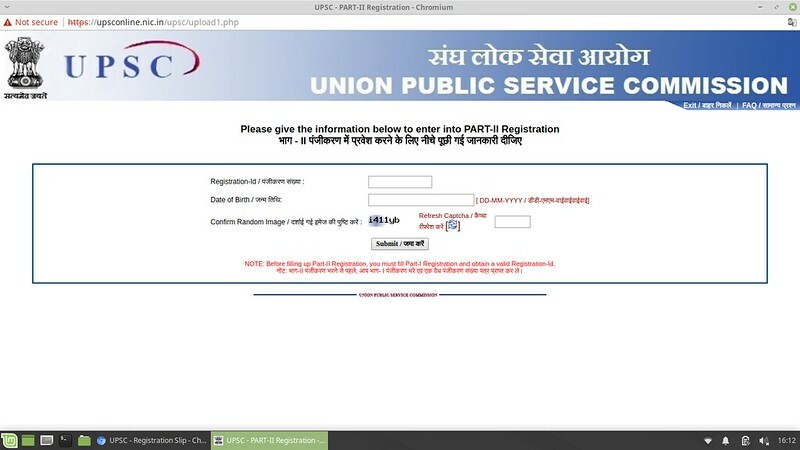 Latest: The UPSC IES / ISS Application Form has been activated. Scroll down to apply online. The application window is open now and will remain active until April 16, 2019, by 06:00 PM. The rest of the details will be communicated via notification. 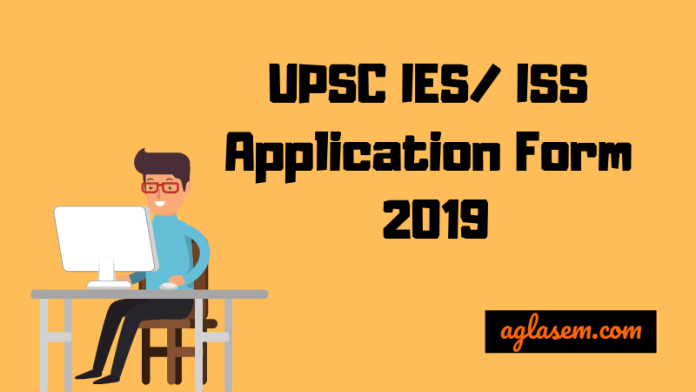 Apply Online: Click here to fill the UPSC IES / ISS Application Form 2019. The application fee is mandatory for doing the final submission of the application form. 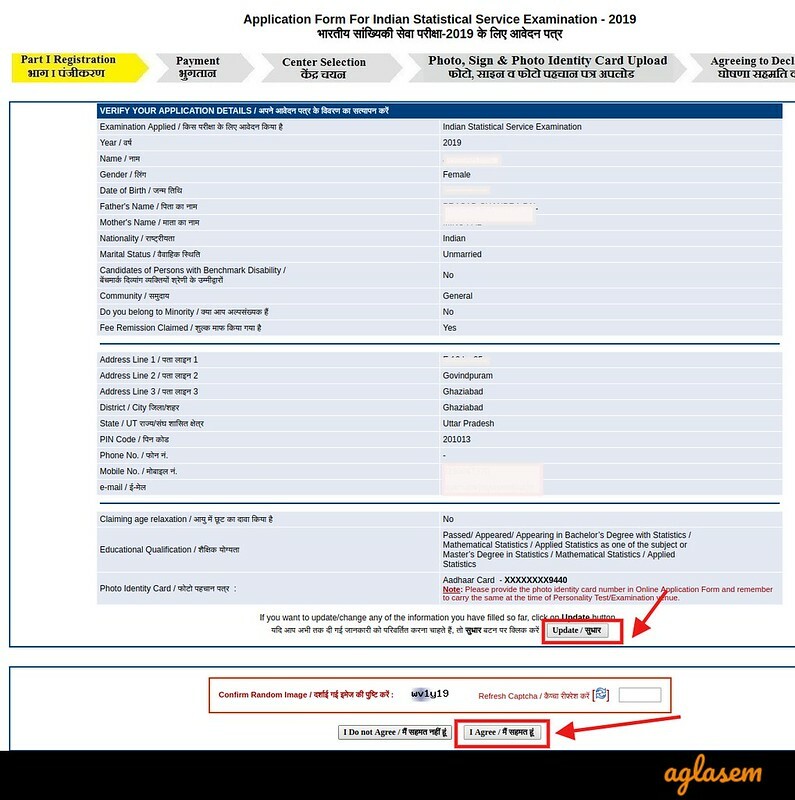 The application fee for UPSC IES / ISS 2019 is Rs. 200/-. But the candidates belonging to the SC/ST/PWD, and female candidates are exempted to pay the application fee. The payment mode is online as well as offline. Online – The candidates can use the Debit Card / Credit Card/ Net Banking for making the payment. Offline – For offline payment, he/she have to use the SBI Challan and deposits money in the nearest SBI Branch. The candidates have to keep some document handy before filling the application form. The list of documents has been provided here. Scanned photograph and signature in .jpg format. The file of the photograph should not exceed 40 kb and should be less than 03 kb. The signature file should be 01 kb to 40 kb. 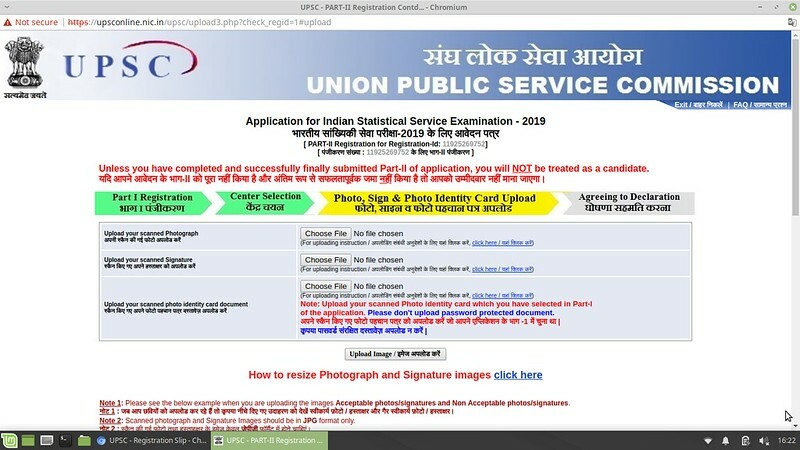 How To Fill The UPSC IES/ ISS Application Form 2019? The application form is available online, and the candidates have to fill it in online mode only. Apart from this there is no other mode for doing so. The application form has two parts. 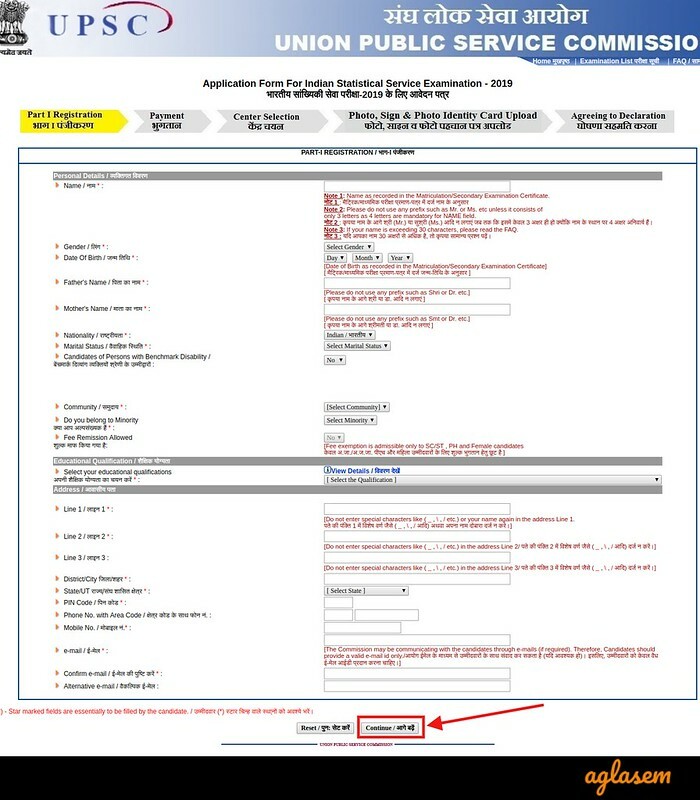 Each part has to be completed by the candidate, otherwise, the form will be rejected. Part II registration – Payment, Center Selection, Photo Sign and Document upload, Agreeing to the declaration. First, the candidates have to click on the above link, that redirects to the official website, where the candidates have to click on the respective link for which Service he/she wants to appear in the examination. The similar image will open in the next window. After clicking for the service the candidates will be taken to the instruction page. There they have to read the instructions and proceed for filling the application form. When candidate clicks for proceed the part I registration starts. Name of Examination IES / ISS. Apart from the General Information form the candidates have to provide the other details such as, if they want to claim the age relaxation. Details of Identity Proof – The candidates have to provide the details like type of identity and card number. After this step the part I registration completes here. And the candidate has to chance to edit the application form. After this point, all the fields will be frozen and the details will not be allowed to edit. After filling all the details the candidates have to Preview the application form. After reviewing the confirmation page generates. Here the candidates have to take the print out of the application form and have to proceed to part II details. Payment – As per the category the candidates have to do the payment. The candidate can opt for the online or offline mode whichever suits them. 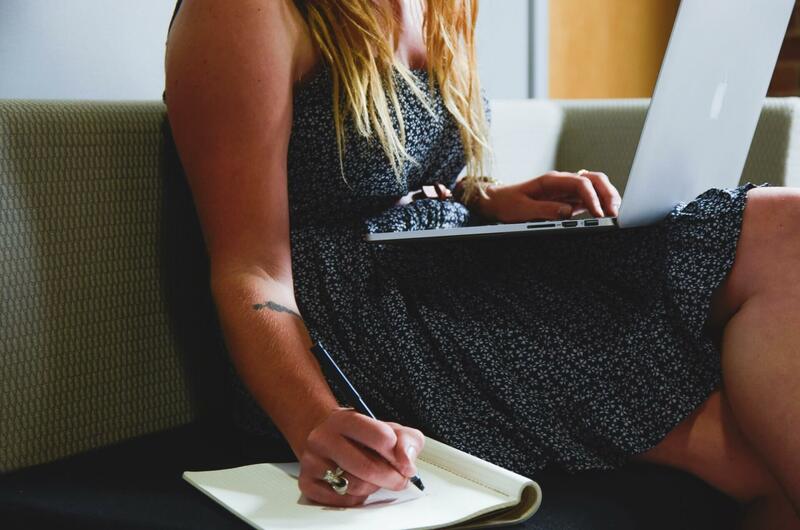 Center Selection – The examination is being conducted in the following cities, the candidates have to choose anyone at the time of filling the form. Photo and Sign – Here the candidates have to upload the photograph and signature in the specified format. Agreeing to the Declaration – At last, the candidates have to agree with the declaration. After the completion of the application form, the candidates who will have registered will be issued the admit card for the examination at upsc.gov.in. The admit card will be issued in the 2nd week of June. 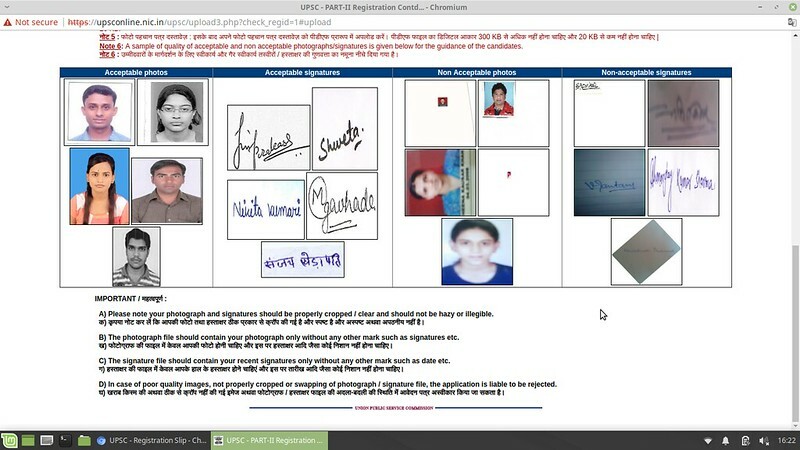 To download the admit card the candidates have to use the registration id/roll number and date of birth. For written examination and interview the admit card will be issued separately. Only the qualified candidates of written examination will be issued the admit card for the written exam.